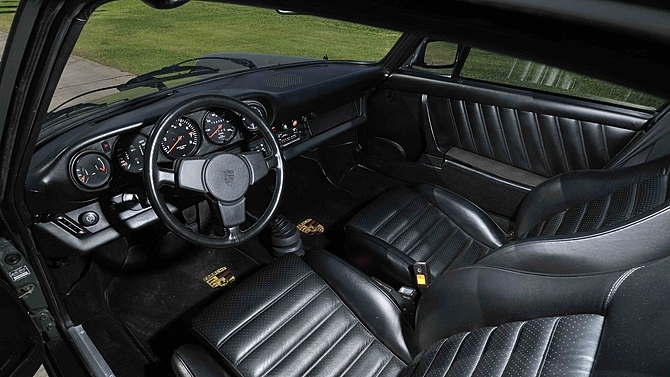 Hammer Down - What's cooler than a 1976 Porsche 930 Turbo? Answer: A Porsche 930 owned by Steve McQueen. To be honest, I was a little surprised to see Steve McQueen's wonderful and historic Porsche 930 being offered for sale by Mecum during this years Monterey car week auction. It doesn't seem right to see this car at auction, but after reading the story behind the car I now understand and agree with the offering. A portion of the proceeds from the sale of this 930 will be donated to the Boys Republic. The 1976 Porsche 930 3.0 Turbo Carrera to many in the Porsche enthusiast world, is one of Porsche's pinnacle cars. Some refer to it as an early blue chip investment, a buy it now kind of investment! The values have been sky rocketing over the past 4 years, and after the sell of the McQueen's 930, I expect to see the prices for all air cooled 911/930 Turbos to climb even higher. In 2011, just about the time when early 911s (1965-73 long hood) started climbing in value. Steve's Le Mans movie car, a 1970 911S sold by RM Auction for $1, 375,000. After this sale, there was an increase in values for all early 911s. Even today, with the market much stronger, $1.375 million is still an amazing number. Only the 1973 911 RS comes close to matching this million dollar number. So what money number should we expect to see with Steve McQueen's 930? Of course we don't know and it's kind of hard to guess, but I will take a chance and make an estimate. The timing is perfect for a possible bidding frenzy, but I would say a safe estimate range would be $700K to $1 Million. I will be extremely surprised if it doesn't reach $500K, but at the same time I wouldn't be take surprised if it goes way over $1 million. It is iconic, it's rare, and everyone knows the original owner, the king of cool. Possibly the biggest unknown for this car auction value is the fact it's being offered for charity. History has shown most vehicles that are offered for charity bring a much higher than market value. The Boys Republic is a great place for the money to go, and I would like to think Steve McQueen would have done the same he was still alive. A great short video on the iconic car.